Our Best Answer - How do I pay my tuition? Pay by mail with checks or money orders for charges other than Tuition and Fees. Examples include housing and orientation. For more information, visit the Tuition and Fees section of our website and click on the term and year in which you are interested, or visit our Paying Your Bill webpage for more information on each type of payment and/or alternatives. Student Accounting & Cashiering Services is located in the SSB, Building 121 East, 1st Floor (Green Counter). Operating hours are available at the Student Accounting & Cashiering Services website. 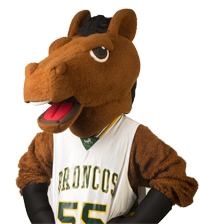 Learn how to make a payment in your BroncoDirect Student Center by watching the how-to video below. What if I have not been awarded financial aid before fees are due? How will semester conversion impact my tuition payments?